Given Apple’s tendency to only do major redesigns for its iPhones every other year, we’re most likely not going to get a bold new iPhone form factor until late 2016. With that said, however, Jony Ive’s design team don’t take too many days off — which means that there are constantly new ideas being churned out that may well radically change how we think of an iPhone looking. A new Apple patent application published today shows off an iPhone with a wraparound display, resembling something not a million miles away from a fourth- or fifth-generation iPod nano. Until now, Apple’s been dead-set on making every iPhone thinner than the last, but the company’s proposed “wrap-around display” makes it seem like that strategy may no longer be on the cards. While this is only a patent — and may therefore never show up in any actual device that Cupertino ships — it does nonetheless show Apple’s continuing fascination with virtual buttons. Apple has been utilizing on-screen buttons since the iPhone (or even, you could argue, since the GUI was introduced in the early 1980s), but this design shows how even the few physical buttons the iPhone does have — such as the volume ones — could be made into virtual ones. 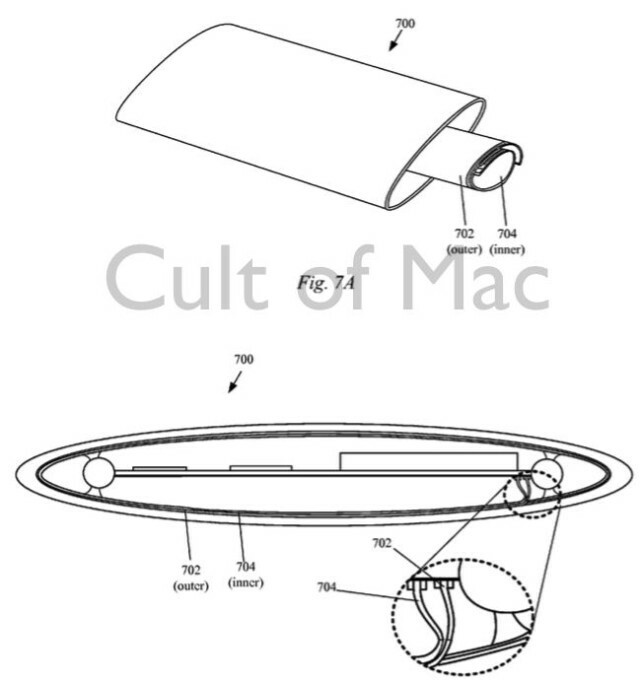 The possibility of a wraparound screen also means that Apple could also use the back of the iPhone as a display, or at least another location for inputs. Recently, another patent published by the company described how Apple may utilize the back of future iPads by incorporating sensors into them to allow users to control the device without having to obscure the primary screen with their fingers in the process. 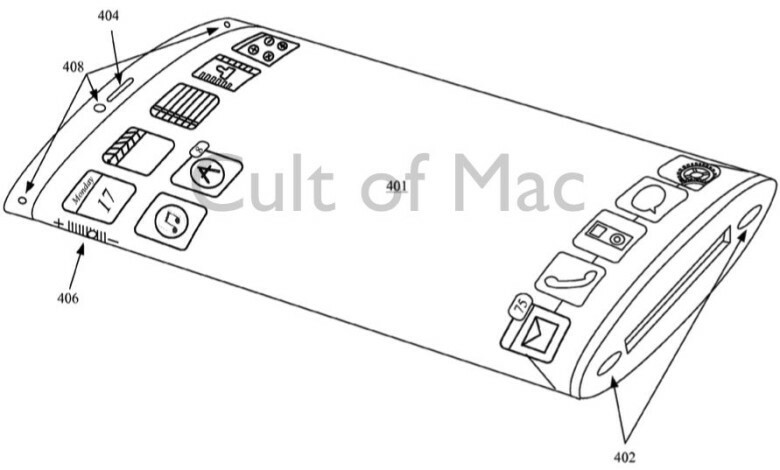 Patent design shows how the internal components would slot in to future iPhone. Long-time readers may recall that this isn’t the first time Apple has shown an interest in wraparound iPhone displays. In fact, this patent is incredibly similar to one published in March 2013, although its language has been tweaked slightly. What does it mean? It’s tough to know without more information, but Apple’s constantly exploring new materials, and this wouldn’t be the first time it’s considered a flexible display for one of its devices. For now, I’m more than happy to stick with my iPhone 6 Plus, but it does demonstrate how Apple continues to lead the way on innovation, while its befuddled rivals continue trying to rip off its current generation products. You know what they say about skating where the puck is now, as opposed to where it’s going.